For those of you who haven't been paying attention to the Chicago Cubs this season (and I'm sure that that is most of you), you might be missing something special. No, they aren't contending for anything, but they are starting to see the fruits of a lengthy rebuilding process pay dividends. And one of those key pieces, is 21 year-old Javier Baez. To look at his numbers, you wouldn't think that there is much to this kid from Puerto Rico. His slash line is a rather uninspiring .216/.256/.486. His wOBA (.324) is a hair above league average, as is his wRC+ (103). 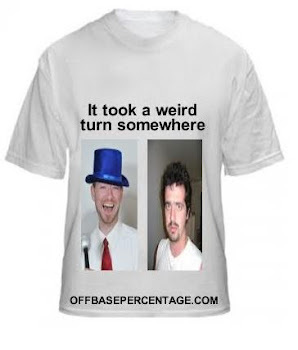 He has struck out in 39.7% of his plate appearances and walked in only 5.1%. So, why should I care? Why should any of us care? Well, for starters, he's 21. Not every 21 year-old gets to the Show and lights the world on fire a la Mike Trout. Secondly, there's that power. That power that he put on display yesterday with this home run that landed on Waveland Ave.
An excellent ISO (Isolated Slugging) checks in at .250. That's way above average. Baez's ISO currently sits at .270. That would be way way above average. He doesn't qualify for the Golden Sledgehammer on ESPN's Home Run Tracker. But, if he did, his average true home run distance of 409.2 feet would be good for tenth this season behind Jay Bruce.To put it bluntly: Javier Baez hits baseball's very very hard. And he hits them very very far. And he's not even a fully matured physical being yet. Let that sink in. This isn't the first time that someone has written an article after Baez hit a home run, and there's a good reason for that. 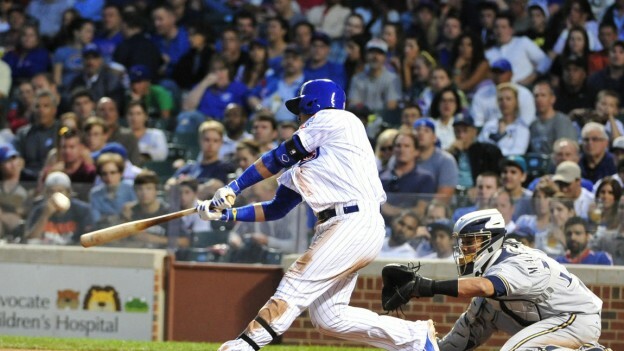 Baez has this all-or-nothing swing that scares some savvy baseball fans. After his first game, it prompted Sam Miller to write a ditty about it. But I don't hear enough excitement about this young player with monster power. Maybe it is because he plays for the Cubs. It's probably because he plays for the Cubs. And to that I say: "Fair enough." But, do yourself a favor, and make yourself aware of this kid. Why is that? Because I have personally never seen a bat get through the strike zone as quickly as this kid's bat does. And with his swing and power, it may not be too long before we are putting him into conversations along side players like Giancarlo Stanton as one of the premier power hitters in the game today. Bold statement? Maybe. But, in Stanton's rookie year of 2010 at the age of 20, his average true home run distance was 399.6 feet. 10 feet less than what Baez is doing in what may come up short of being a full rookie campaign. So, maybe it is not as bold as you might think.